April 28, 2006. 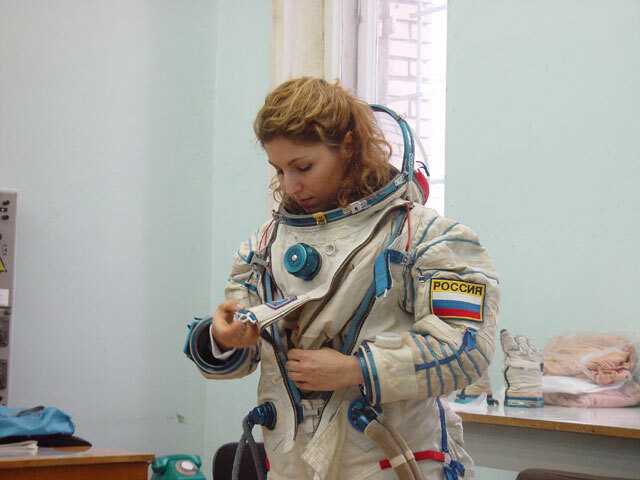 Korolev, Moscow Region. 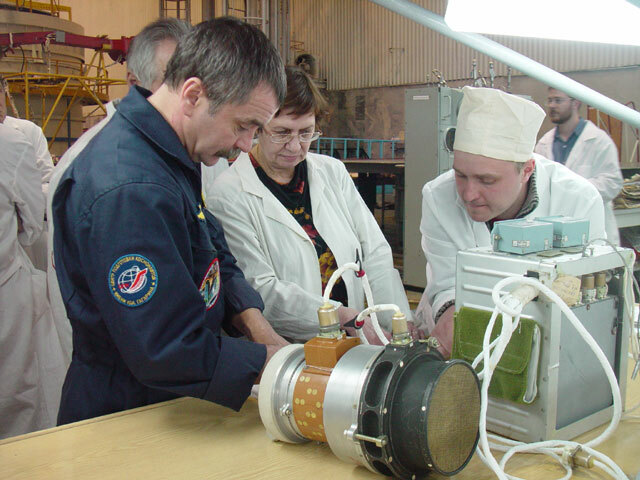 As the preparations for Russian Visiting Crew 11 are under way, at one of the shops of Experimental Machinebuilding Plant of RSC Energia after S.P. 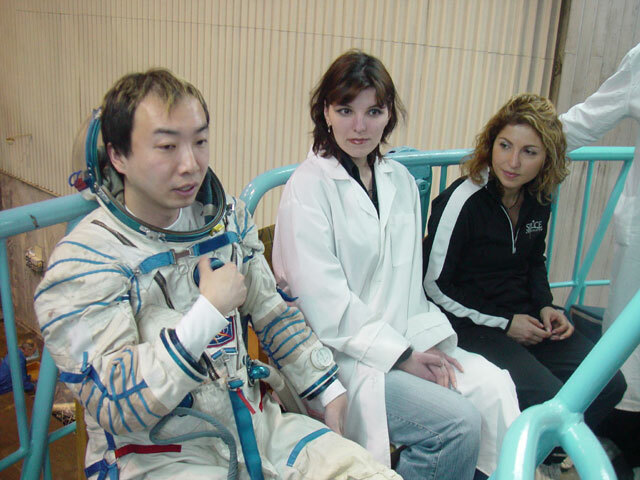 Korolev the space flight participant (SFP) from Japan Daisuke Enomoto and his backup Anousheh Ansari (USA) were for the first time acquainted with operational Soyuz space vehicle. 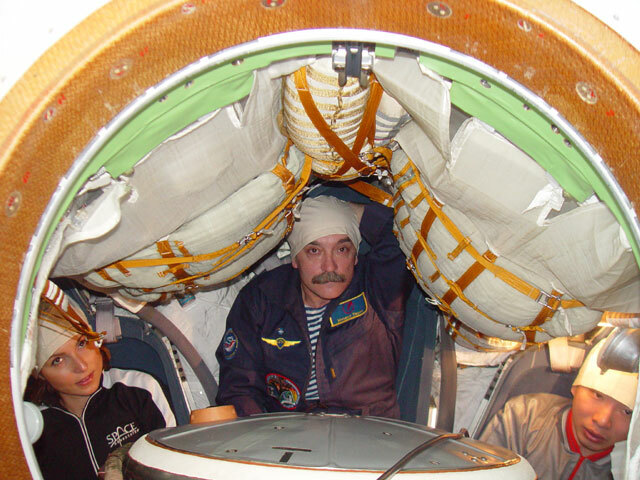 They visited the space vehicle habitation module and descent module. 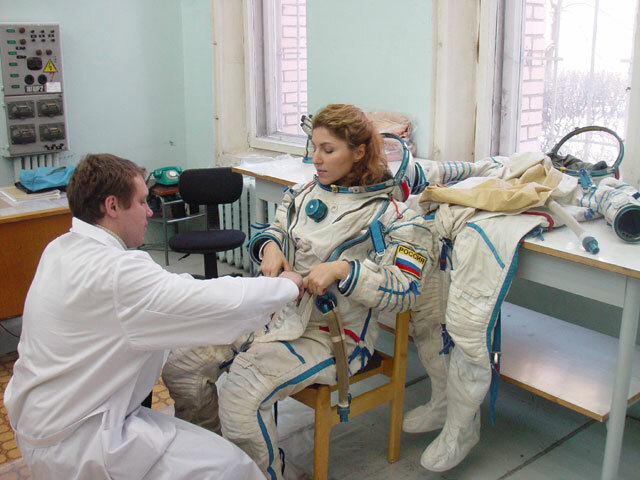 While making themselves comfortable in the right seat of the space vehicle with space suit Sokol-KV2 on, they appreciated their future working place in the capacity of SFP. 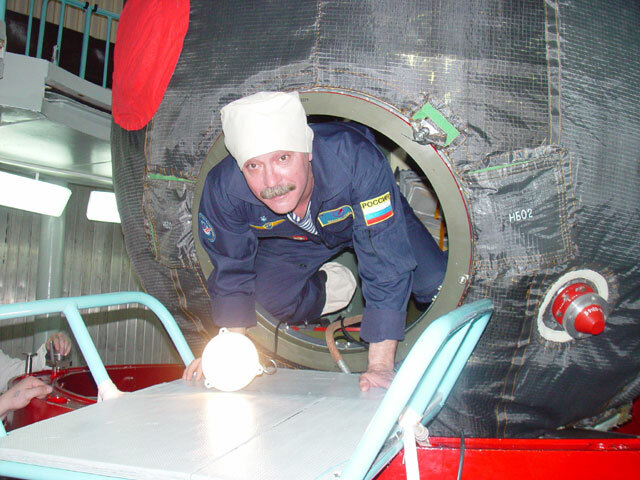 The same familiarization activities were conducted by Mikhail Tyurin, test cosmonaut, pilot-cosmonaut, next Soyuz commander and flight engineer of ISS-14 Prime Crew.